Despite huge growth in m-commerce, e-tailers still face several key obstacles when it comes to closing sales. One of the biggest obstacles is conversion. According to a recent study, seven out of 10 people stop short of completing their online purchases. 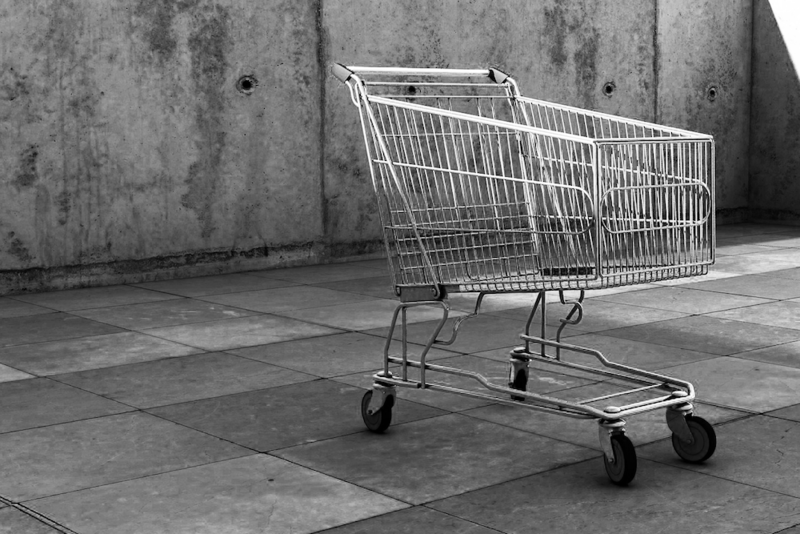 The problem is so bad it’s been coined the‘abandonment economy,’ which is the sum of revenue lost from shopping cart abandonment. And the numbers are staggering with estimates that shopping cart abandonment alone accounted for a whopping $4.6 trillion in lost revenues in 2016 alone. On both mobile and desktop combined, 27% of all abandonments are due to time restraints and 23% occur because the process is too complicated. And the rise of m-commerce is only making matters worse. On mobile alone, 37% of all m-commerce cart abandonments occur due to the irritation of having to type on a mobile device. That makes sense as even the best user experience on the latest device is still a frustrating, cramped, hunt-and-peck keyboard experience. Adding to the problem areaggregator apps – like Ebates – where m-commerce conversion depends on consumers successfully completing scores of different shopping checkouts. In the case of an Ebates-like app, they face the daunting challenge of trying to optimize a mobile purchasing experience that must consider hundreds of different merchant check-out forms. So what is an online merchant to do? In light of the growing number of m-commerce transactions, here are four steps e-tailers can take to mitigate cart abandonment. If you aren’t doing so already, take a good, long look at your checkout form and do everything possible to reduce the number of fields on that form. Any attempt to shorten the checkout form will create an internal debate between the merchandising and marketing teams. Most retailers know at an intuitive level that the fewer number of fields, the higher the conversion --and this is especially true when it comes to m-commerce. At the same time marketers are always pushing to collect more information to better understand -- and meet the needs -- of their customers. But in the end, shorter is always better. Just look at these numbers: In a long-running study, the company JotForm has broken down conversion rates by form ‘length’ – or number of fields. A form with fewer than five fields averages a conversion rate of 19.6%. When the number of fields jumps from 5 to 10, conversion numbers are significantly reduced. Add even more fields and the conversion rate goes down further. Note: If accurate autofill is available, then you can have as many fields as you would like and also enhance the conversion rate. More on this later! Next, consider your markets. If you’re doing business on a global scale and serve customers from many different countries, know that average conversion rate by country can vary considerably. JotForm reports the country with the highest average conversion rate is Australia, at 7.6%, followed quickly by the USA at 7.2%. Then comes Canada at 6.2%. At the bottom of the list sit Italy at 3.1%, Spain 2.5%, and France at 1.7%. Adjust your merchandising and marketing to appeal to shoppers coming from the countries you most want to convert. Sometimes, e-tailers will send customers outside their app to a merchant’s mobile website for checkout. While we don’t recommend this practice, there are things that you can do to increase conversion rates -- even if you don’t ultimately control the user experience. Our recommended solution? Android WebView. As described by Google, WebView is a “system component powered by Chrome that allows Android apps to display web content.” In other words, WebView allows third-party apps to show content in an in-app browser or in an app screen that pulls from the web. Apple has a similar functionality in iOS called UIWebView. Most single-purpose and aggregator m-commerce apps suffer from one of the oldest and least-optimized of browser features: autofill. Historically a feature that exists within the web browser, even the best autofill technologies – like that of Chrome or Safari – are horribly inaccurate. In fact, tests that evaluate autofill accuracy on the top 50 most-visited shopping websites consistently find that Chrome and Safari autofill average 53% accuracy. That means that almost half of the fields each browser attempts to autofill in a shopping checkout web form are incorrect in some way or another. This has a huge impact on abandonment -- especially for mobile consumers trying to reduce the amount of typing they need to do on their smartphones. The solution? Use the old school method that involves testing your checkout against the autofill of the major browsers. Figure out which fields are being filled correctly and keep changing your code until they are. Or, use a new generation autofill technology that use thousands of form-mapping expressions to deliver accuracy far greater than Google and Apple’s autofill. As recent usage numbers have shown, m-commerce isn’t slowing down. While cart abandonment has always been a problem for e-tailers, the problem will only get worse if e-tailers don’t make the small changes needed to make the checkout process fast and seamless for consumers trying to make purchases from a mobile device. By making a few simple process changes and incorporating newer technologies, e-commerce merchants can make big strides in reducing the abandonment economy.